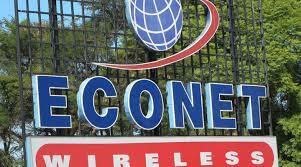 ECONET Wireless yesterday maintained that its subscribers are not facing disappearing data problems on their network and advised clients experiencing the challenges to contact the company. In a statement yesterday, Econet said any challenges that their clients may face should be raised with the telecommunications firm. “Econet maintains that there is no disappearing balance problem on their network, and that where a customer experiences a change in balance that they cannot explain, they should immediately raise the matter with the company through its call centre or shops, or use its web self-care service, which is available for customers to monitor and track their usage of data or airtime from anywhere, at any time,” Econet said. Earlier, Econet said they had introduced an Out-Of-Bundle Blocking system to stop smartphones from chewing background data to prevent their mobile subscribers from missing their data. “To prevent this, we introduced Out-Of-Bundle Blocking, which stops background data usage from occurring. We are pleased to say to date we are the only local Mobile Network Operator that offers this convenience, and many of our customers have signed up to use this feature,” Econet said. This came as Econet subscribers have in recent months complained about missing data, especially on their daily and weekly packages. ICT and Cyber Security minister Supa Mandiwanzira last week also said the government had received numerous complaints from Econet mobile subscribers about disappearing data. Econet is the largest mobile telecommunication company in the country with an active mobile subscriber base of 7 488 588 recorded at the end of the fourth quarter of 2017, according to the Postal and Telecommunications Regulatory Authority of Zimbabwe. The mobile company launched Kwese Broadband and Kwese Wi-Fi to support high volume data usage for media consumption.